The famous vitamin E is renowned for combating aging by keeping joint degeneration at bay and increasing eye and heart health. What is not so well known is that vitamin E can help aging skin to retain its smoothness, moisture and beauty. Research from the World Congress of Public Health and Nutrition reports that more than 90% of Americans fall below the daily recommended amount of vitamin E. The recommended daily allowances are provided by the U.S. Food and Drug Administration, and for vitamin E it’s 15 milligrams per day. The secret to vitamin E’s importance for both internal health and external beauty is similar to that of the other antioxidant vitamins (A and C) — their ability to undo the “free radical” damage that causes skin to develop lines and lose elasticity and firmness. Free radicals are damaging molecules that come from a reaction of oxygen inside the body. They come from pollution, smoke, medications, infection, stress, toxic chemicals, a poor diet, and also as a byproduct of normal digestion and metabolism. “Anti-oxidants (or anti oxygen substances) such as vitamins E, C and A can help to defend the body against free radical damage and repair it. These nutrients can assist to create skin that is firm and luminous, and incorporating both nutritional and topical approaches can be of benefit. Vitamin E is a popular skin treatment because of its ability to stop reactive oxygen molecules from altering the formation of collagen. Collagen is the main protein in connective tissue, bone and other key tissues in the body. Vitamin E also maintains the elasticity in cellular spaces that provide the balance necessary to preserve skin moisture. What a person eats can have a great affect on their skin’s appearance. It is important to consume an antioxidant-rich diet to ensure the cells are well guarded against the ravaging effects of free radicals. Avoid refined ingredients such as white flour and sugar, which cause the collagen fibers (which should be present in tidy bundles) to tangle and become crossed up. The result can be lines, wrinkles and aging skin. A diet featuring quality proteins like fish and grass-fed meats, seasonal vegetables and fruits, and healthy fats such as olive oil, is recommended for its richness in the antioxidant vitamins A, C, and E.
Foods which contain good amounts of Vitamin E include nuts, seeds, avocado, leafy green vegetables, broccoli, butternut squash, olive oil, trout and kiwi fruit. Try if possible to buy organic fruits and vegetables, since recent studies have shown they contain significantly higher levels of antioxidants than conventionally grown produce. They also contain less heavy metals, and since they are pesticide-free, they help reduce the skin’s toxic burden. Vitamin E can be a great part of one’s skincare routine, and there are an abundance of skincare products in natural food stores that contain this fat-soluble powerhouse. Combine a nutritional approach with a daily skincare routine, to give the skin all the nutrients it needs to glow from within. If a person has very sensitive skin, it’s possible that topical vitamins in skincare products can be an irritant. In this case, test a small amount of any product and wait several hours before using it liberally. For all the beautifying benefits it provides, be sure to add vitamin E-rich foods to your diet. This natural health news is provided by Nutrition Breakthroughs, a publisher of nutrition articles and supplier of natural remedies since 2002. Nutrition Breakthroughs makes Sleep Minerals II, the effective natural sleep aid with calcium, magnesium, zinc and vitamin D, and also Joints and More, the natural solution for joint relief, arthritis, aches and pains, stronger hair and nails and more energy. Ginger is not only a spice that has been used for centuries by Asian and Indian cultures; it is also one of the most effective medicinal foods in existence. Ginger has a warm, mildly spicy flavor and is used as tea, as a seasoning for seafood and stir-fry dishes, as a powder for nutritional supplements, and as a spice for sauces and baked goods. New studies are confirming what has been known about ginger for over 5,000 years – It remedies nausea, arthritis, migraines, restless leg syndrome, premenstrual syndrome, upset stomach, and enhances brain function and memory. A British Medical Journal did a review of several studies that were done on the benefits of ginger for nausea and vomiting. The researchers found that the studies on ginger for seasickness, morning sickness and chemotherapy-induced nausea, showed positive results for ginger and found it effective. For women with PMS, scientists at the University of Medical Sciences in Tehran, Iran compared ginger capsules with two different kinds of anti-inflammatory drugs. 150 women participated and they were divided into three groups. Those in the ginger group took 250 mg. capsules of ginger root powder. Members of the other groups received the anti-inflammatory drugs (mefenamic acid or ibuprofen capsules). The women’s severity of symptoms, pain relief, and satisfaction with the treatment were compared between the groups after one menstrual period. At the end of the five-month study, ginger was shown to be as effective as the drugs with relieving pain and providing relief. The Journal of Evidence-Based Complementary and Alternative Medicine published a study aimed at determining the effect of ginger extract on the cognitive function of 60 healthy middle-aged women. After taking either a placebo or ginger throughout the study period, the women were evaluated with a series of tests that reviewed their working memory, decision making ability and other mental functions. They discovered that the ginger group had increased mental abilities and enhanced working memory and that ginger is an effective cognitive enhancer for middle-aged women. Arthritis causes pain, swelling, and reduced motion in joints. It can occur in any joint, but usually it affects hands, knees, hips or spine. Osteoarthritis breaks down the cartilage in the joints. Cartilage is the slippery tissue that covers the ends of bones in a joint. Healthy cartilage absorbs the shock of movement, but when cartilage is lost, the bones rub together which can damage the joint. Rheumatoid arthritis is an autoimmune disease, which means the arthritis results from the immune system attacking the body’s own tissues. It can affect body parts besides the joints, such as the eyes, mouth and lungs. A recent study published in the journal “Arthritis” found that a standardized ginger extract is as effective as the anti-inflammatory drug betamethasone for both types of arthritis, but without the many side effects the drug is known for (fluid accumulation, nausea, adrenal gland suppression, insomnia and depression). Patients with rheumatoid arthritis (RA) are more likely to develop restless leg syndrome than the general population. Those who have restless leg syndrome experience unpleasant sensations in the legs described as creeping, crawling, tingling, pulling or painful. People with RLS often experience chronic insomnia and sleeplessness due to the strong urge to walk or do other activities to relieve the sensations in their legs at night. A study in the Journal of Autoimmune Diseases reported that about 30 percent of patients with RA also have restless leg syndrome. To sum it all up, ginger is a true leader in the realm of medicinal herbs. To reap the wide variety of health benefits of using ginger, look for it in health food stores in the form of capsules, tablets or tea, or use it in cooking and baking. This health news is provided by Nutrition Breakthroughs, a publisher of nutrition articles and supplier of effective natural remedies since 2002. Nutrition Breakthroughs makes the original calcium and magnesium based sleep aid Sleep Minerals II, as well as Joints and More, the natural solution for joint relief, aches and pains, stronger hair and nails and more energy. MSM is a natural mineral made of sulfur that has been shown in studies to relieve arthritis, headaches, back pain, and also contribute to stronger hair and nails. MSM is known as “Factor N”, for returning cells to normal. A recent study from the Genesis Center for Integrative Medicine in Graham, Washington has found yet another benefit of MSM — it’s effectiveness for seasonal allergies and hay fever. MSM sulfur is a white, odorless, water-soluble element found in nature and in foods such as milk, fruits, vegetables, seafood and meat. It is especially high in eggs, onions, garlic, asparagus and broccoli. When food is heated, washed, frozen or processed, it becomes depleted of its natural MSM stores — making supplementation beneficial. Seasonal allergies affect more than 23 million Americans each year. Symptoms can include sneezing, watery eyes, runny nose, congestion, coughing, itchy throat and fatigue. Side effects of antihistamines include drowsiness, and decongestants may result in insomnia or irritability. The goal of the MSM study was to evaluate whether a natural mineral can reduce allergy symptoms and to determine if it has any possible side effects. The study was published in the Journal of Alternative and Complementary Medicine. Fifty-five patients with seasonal allergies were given MSM at 2,600 milligrams per day. The MSM use resulted in significantly reducing upper and total respiratory symptoms within 7 days. Lower respiratory symptoms were substantially improved by the third week. Few side effects were associated with the use of MSM and no patients dropped out of the study from any adverse reactions. In addition, by day 14 the energy levels of participants had increased considerably. The researchers concluded that MSM supplementation of 2,600 mg/day for 30 days is an effective and “side-effect free” remedy in the reduction of seasonal allergy symptoms. An unforeseen and valuable benefit of MSM was a significant increase in energy. For this reason, it’s best to take MSM early in the day rather than in the afternoon or evening too close to bedtime. This health news is provided by Nutrition Breakthroughs. Since 2001 Nutrition Breakthroughs has provided natural health articles and effective natural remedies. Their mission is to provide nutritional supplements that get results and help people to avoid drugs and their side effects. Nutrition Breakthroughs makes Joints and More, which contains pure organic MSM for allergy and asthma relief, arthritis and headache relief, increased energy, and stronger hair and nails. For more information, visit the Joints and More page. Nutrition Breakthroughs also makes Sleep Minerals II, the original calcium and magnesium based sleep remedy. It’s been shown effective for sleeplessness and insomnia, as well as for restless leg syndrome, bone strength, menopause insomnia and teenage insomnia. For more information, visit the Sleep Minerals II page. This article is written by Case Adams, Naturopath, and it was originally published on GreenMedInfo.com. Conventional drugs for hair loss come with outrageous side effects such as male breast enlargement and erectile dysfunction. Recent research finds nature’s answer to male pattern balding – pumpkin seed oil. Researchers from the Republic of Korea’s Pusan National University have confirmed that pumpkin seed oil increases hair growth among balding men. The medical researchers tested the pumpkin seed oil on 76 male patients with moderate androgenic alopecia – male pattern hair loss. None of the patients had tried any previous medication, supplement or topical therapy for at least three months prior to the beginning of the study. The researchers recruited 90 patients, but excluded those with high liver enzyme levels. The patients were divided into two groups and half were given a placebo. The treatment consisted of giving the patients 400 milligrams of the pumpkin seed oil per day in capsules. They were given two capsules before breakfast and two capsules before dinner. After three months and at the end of the study at six months, the patients were assessed using blinded practitioner analysis (where the practitioners didn’t know who was receiving the placebo and who was receiving the pumpkin seed oil), and given a point score, which ranged from -3 (greatly decreased) to +3 (greatly increased). Each scalp was also photographed using phototrichography – which is a polarizing technology, allowing the hair loss region to be targeted and measured from the center. The researchers also conducted hair counts using two different lenses. In addition, the patients rated their own hair gain using the Visual Analogue Scale (VAS). In the photographic analysis, the researchers found that 44% of the group taking the pumpkin seed oil slightly or moderately improved hair growth, while 51% were unchanged and 2.7% – actually just one patient – had slightly more baldness at the end of the six months. In comparison, among the placebo group, 28% had increased baldness and 64% were unchanged, while only 7.7% were slightly or moderately improved in hair growth. In the phototrichographic analysis, the pumpkin seed oil group had significantly higher hair counts – over three times more. The pumpkin seed oil group saw 30-40% increased hair counts while the placebo group showed 5-10% more hair count on average. The researchers found the treatment to be safe, with only one report of mild stomach upset during the trial. This contrasts greatly with conventional medical treatments such as topical minoxidil and oral finasteride. The latter has resulted in adverse effects including erectile dysfunction and gynecomastia – the enlargement of the male breasts. Meanwhile, side effects of minoxidil include scalp itchiness and scaling. Other research has found pumpkin seed oil can inhibit the 5-alpha reductase enzyme – an enzyme which is implicated in slowing and stopping hair growth. This enzyme is involved in steroid conversion, including aldosterone, testosterone, cortisol and others. With regard to alopecia, 5-alpha reductase is involved with the conversion of testosterone to dihydrotestosterone (DHT) which is one of the central mechanisms involved in alopecia. High dihydrotestosterone levels produces damage among the hair follicles. This causes the hair to thin until the follicle goes into dormancy. At this point, there is complete hair loss at the follicle. Cho YH, Lee SY, Jeong DW, Choi EJ, Kim YJ, Lee JG, Yi YH, Cha HS. 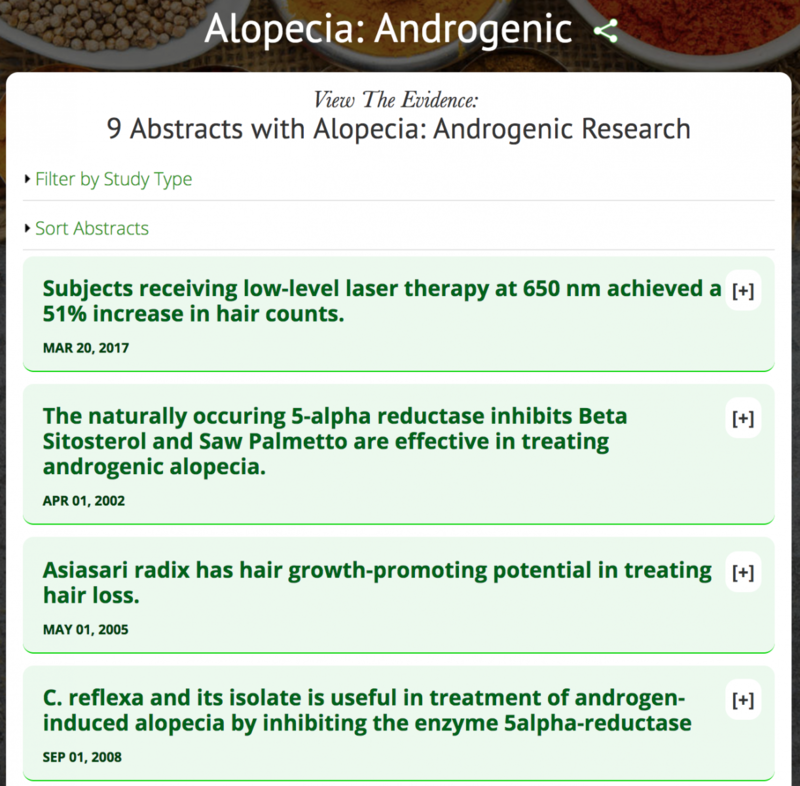 Effect of pumpkin seed oil on hair growth in men with androgenetic alopecia: a randomized, double-blind, placebo-controlled trial. Full Free Article Evid Based Complement Alternat Med. 2014;2014:549721. doi: 10.1155/2014/549721. Rapaport MJ. Follow-up of 1 mg finasteride treatment of male pattern baldness-difference between clinical trials and private office follow-up: influences on prescribing habits evaluated. Dermatol Surg. 2004 May;30(5):761-3. Libecco JF, Bergfeld WF. Finasteride in the treatment of alopecia. Expert Opin Pharmacother. 2004 Apr;5(4):933-40. Ejike CE, Ezeanyika LU. Inhibition of the experimental induction of benign prostatic hyperplasia: a possible role for fluted pumpkin (Telfairia occidentalis Hook f.) seeds. Urol Int. 2011;87(2):218-24. doi: 10.1159/000327018. Gossell-Williams M, Davis A, O’Connor N. Inhibition of testosterone-induced hyperplasia of the prostate of sprague-dawley rats by pumpkin seed oil. J Med Food. 2006 Summer;9(2):284-6. 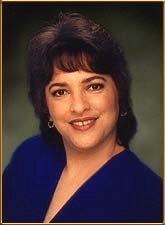 Case Adams is a California Naturopath, board-certified by the American Alternative Medical Association as an Alternative Medical Practitioner, with a Ph.D. in Natural Health Sciences and a degree in Naturopathy. He is a traditional naturopath – not a licensed medical doctor. His focus is upon researching, writing about and authenticating traditional therapies with clinical evidence. He is the author of 26 books on natural health. His books can be found on Heal Naturally – and many are available for immediate download on GreenMedinfo’s book library. Contact Case at case@caseadams.com. Disclaimer: This article is not intended to provide medical advice, diagnosis or treatment. Views expressed here do not necessarily reflect those of GreenMedInfo or its staff.© June 26, 2017 GreenMedInfo LLC. This work is reproduced and distributed with the permission of GreenMedInfo LLC. Want to learn more from GreenMedInfo? Sign up for the newsletter here: http://www.greenmedinfo.com/greenmed/newsletter. Let me ask you a question, when was the last time you enjoyed a really good night’s rest? For many, they may need to really think about that answer. The reason is according to the National Sleep Foundation found that almost 40 million Americans suffer from some sort of sleep disorder. In addition, lack of sleep affects women more than men. However at this time it is unclear why females experience more sleepless nights than their male counterparts. Nonetheless, lack of sleep is a very serious issue that can lead to depression, increased stress levels, irritability, mood swings, weight gain and slowness of response time. So let’s take a closer look at what can be done to prevent you from becoming one of the 40 million sleep-deprived individuals. The first step is the make the decision that you will avoid taking medications to get more sleep. The reason is simple, you don’t want to rely on, either physically or mentally, a drug or OTC (over the counter) medicine. Instead let’s focus on making simple eating changes to help you restore your sleep. These types of foods place stress on your body and when your body is stressed it can’t function properly. In addition, if your body begins to function improperly, it not only increases the stress level but the imbalance will also increase. The foods on the above list should be consumed at least five hours before you go to bed. This gives your body enough time to absorb and then eliminate any remaining components. Also, the consumption of spicy foods should be done either at breakfast or lunch. This will allow enough time for complete digestion. In addition, fried foods also need time to be fully digested and eliminated, too. Here are some of the top food choices to add to your diet to help improve your sleep patterns and avoid insomnia. In regards to the last one, tart cherry juice, this is one drink you should enjoy on a regular basis. Not only is it a good source of water, it is a natural source of melatonin. The best way to make tart cherry juice is to mix one ounce of tart cherry juice concentrate with seven ounces of water to make one eight ounce glass. One glass provides a good amount of water. However, in addition to the water the one ounce of the concentrate is packed with almost 150 nanograms (15% of a gram) of naturally occurring melatonin. The presence of the melatonin will help you sleep better, but it is also a powerful antioxidant that will help to fight free radicals in the body. (Definition from Nutrition Breakthroughs: an antioxidant can protect tissues from the damage caused by oxygen in the body. The natural processes of digestion, as well as consuming unhealthy foods and drinks, can create excess oxygen. A free radical is an unstable molecule that attacks other molecules and plays a major role in the aging process and degenerative diseases). So, with the diluted tart cherry juice you’ll be getting a triple dose of benefits. You’ll be getting more water into your diet. You’ll be enjoying a better night’s sleep and will fight insomnia — while also giving your body the added antioxidants to free the disease causing free-radicals. Regarding protein, a recently published study indicated that individuals who experienced less sleep ate less protein, were overweight, and didn’t take a daily dose of vitamins and minerals. This information was compared to people with normal sleeping patterns. Also, another study revealed that people who usually got five to six hours of sleep per night drink less water and ate more fatty foods than a normal sleeper. Finally, a normal sleeper with the longer sleep time, consumed more protein, drank more water and was not overweight. This simply means that taking care of yourself, drinking water and watching what you eat will have a positive impact on your overall length and quality of sleep. Also, adding a glass of tart cherry juice concentrate probably can’t hurt either. Comments from Nutrition Breakthroughs: Other minerals and foods proven to help with better sleep include magnesium, calcium, potassium, walnuts, almonds, bananas, fish oils and salmon. Eating more vegetables can also increase melatonin levels in the body. One Japanese study tracked consumption of vegetables such as tomato, pumpkin, spinach, Japanese radish, cabbage, carrot, etc., and discovered there was 16% more melatonin in the women with the highest vegetable intakes. The adrenal glands, also known as the “stress glands”, are a pair of vital organs about the size of a walnut that are nestled on top of each kidney. They provide life-giving hormones such as adrenalin, cortisol, estrogen and testosterone. New studies are showing natural vitamins and minerals that can support adrenal health. Adrenaline is made in response to emotional or physical stress: It works to prepare the body for stress by increasing the heart rate and directing energy to the muscles. Cortisol affects metabolism, immunity and blood sugar levels. The adrenals make many other hormones, including estrogen and testosterone, and in fact they take over the production of these after middle-age. Too much or too little adrenal hormones can result in adrenal fatigue, muscle tension, irritability, poor focus, insomnia, depression, arthritis or blood sugar imbalances. Research studies are discovering that the B vitamins, vitamin C and magnesium have the ability to support adrenal function, overall health, and reduce the symptoms of stress. Vitamin B-5, also known as pantothenic acid, is used by the adrenal gland as a key component to manufacture its hormones and a deficiency of B-5 can result in impaired adrenal function. In a study from a Russian medical journal, the researchers examined the effects of vitamin B-5 and found that one single dose had a significant effect on the adrenals by increasing hormone production and gland functioning. Folic acid (vitamin B-8) and cobalamin (vitamin B-12) have also been studied for their effects on adrenal health. To do this, researchers from the Dept. of Medicine in Lund Sweden injected cortisol into 30 healthy young males for only four days and found that their levels of B-8 and B-12 were significantly depleted. These findings show that in the presence of excess stress hormones, B vitamins are removed from the body. Foods and supplements high in B vitamins can reduce the effects of stress. Because all the B vitamins work together as a team, it’s important to take a supplement that contains them all in a complex, to avoid creating deficiencies in any not taken. The full B complex includes Vitamin B1 (thiamine), Vitamin B2 (riboflavin), Vitamin B3 (niacin or nicotinic acid), Vitamin B5 (pantothenic acid), Vitamin B6 (pyridoxine), Vitamin B7 (biotin), Vitamin B9 (folic acid) and Vitamin B12 (cobalamin). Foods high in B complex vitamins include nuts, seeds, eggs, berries, meat, organ meat, fish, poultry, whole grains and leafy vegetables. The adrenal glands are “endocrine glands” – meaning one of those that produce hormones and put them directly into the bloodstream to be carried to target organs a distance away. From the journal “Endocrine Research” comes a review of vitamin C and its effects on adrenal function. The researchers note that the highest amounts of vitamin C in the body are found in the adrenals and the vitamin is used to make all of the adrenal hormones. When one is faced with stress, vitamin C is rapidly used up to make cortisol. From a review of cell culture studies and other research, they conclude that vitamin C deficiency creates lowered adrenal hormones; an inability to keep them stored, and impaired adrenal cell health. Vitamin C is another crucial one to take for adrenal health. From the journal “Medical Hypotheses” comes an article called “Rapid Recovery from Major Depression Using Magnesium Treatment”. The writer notes that magnesium deficiency can be caused by eating processed foods, by the action of the stress hormones (which push magnesium out of the cells), and from consuming an improper ratio of calcium to magnesium in the diet. Case histories are mentioned that show recovery from major depression in less than seven days by using 125 mg. to 300 mg. of magnesium with each meal and at bedtime. A study from the journal “Expert Review of Endocrinology Metabolism” reviewed the role of exercise as a modifier of stress. The study notes that emotional, environmental and other stresses can have long lasting ill effects on one’s health, and that regular amounts of moderate daily exercise (in combination with good nutrition) can enhance and improve the treatment of stress-related health problems. Because fatigue goes along with adrenal issues, it’s best to pick those times during the day when one’s energy is at high points to do some exercise. Some good general tips for supporting the adrenals would be to reduce sugars, desserts, fast foods, caffeine, unhealthy oils and fried foods in the diet. Focus on salads, vegetables and healthy proteins like fish, turkey and grass-fed beef. Include oils like olive oil, coconut oil, flax oil, walnuts, pecans, pumpkin seeds and avocados. Get some time outside in the sun each day and do some walking or other moderate exercise daily. This health news is shared with you by Nutrition Breakthroughs, a provider of nutrition articles and effective natural remedies since 2001. Nutrition Breakthroughs makes the original calcium and magnesium based natural sleep aid Sleep Minerals II. Because the minerals in Sleep Minerals II are in a highly absorbable softgel form, they also help with stress relief, relaxation, restless leg syndrome and more. For more information, visit the Sleep Minerals II page. Vitamin E is a health-giving, disease preventing vitamin that is found in many foods such as almonds, leafy greens, sunflower seeds, eggs, sweet potatoes, avocados, olive oil and rice bran oil. Studies are showing that vitamin E benefits include strengthening the heart, assisting in preventing eye disease, boosting immune function and enhancing muscle health. A stronger heart and immunity can also support better sleep and help remedy insomnia. The top three antioxidant vitamins are Vitamin E, C and A. An “antioxidant” is a nutrient that counteracts and neutralizes the harmful effects of oxygen in the body. These “oxidative” effects contribute to aging and disease and are caused by an unhealthful diet, air pollution, smoking, drinking, and also by the normal processes of digestion and metabolism. Vitamin E is a key player in the fight for a healthy heart. A study from the New England Journal of Medicine found that men who consumed higher amounts of vitamin E had a lower risk of heart disease. This benefit occurred with 60 to 100 international units (IU) per day, although the amount often used for disease prevention is 400 IU daily. The health of the red blood cells is vital as they carry oxygen from the lungs to the rest of the body. In a study from the journal “Nutrition Research”, the breakdown of red blood cells was decreased by 38% in adults that took 300 milligrams of vitamin E daily for four months. Levels of vitamin E in the blood increased significantly and cellular oxygen stress was lowered by 47%. The University of Hong Kong did a study on how vitamin E benefits immunity, which showed that there’s a specific requirement for vitamin E in immune cells. The vitamin was demonstrated to strengthen immunity and help immune cells to flourish. Another aspect of vitamin E is that it has the potential for preventing or delaying prostate cancer in men, according to the book “Vitamin E: New Research”. It isn’t surprising that Vitamin E is vital to the health of the muscles and enhances the ability to exercise, because the heart is essentially muscle tissue and vitamin E is known to strengthen it. In a study from the Medical College of Georgia, it was found that exercise causes muscle cells to burn a lot more oxygen than usual, causing “oxidative” stress in muscles. Their finding was that vitamin E is essential to rapid muscle cell membrane repair and it can also help to prevent muscle-wasting diseases. Vitamin E foods such as nuts, leafy greens, sunflower seeds, eggs, sweet potatoes, avocados, olive oil and rice bran oil are great ways to get more of it, and vitamin E supplements are also beneficial to overall health. This natural health news is provided by Nutrition Breakthroughs, a provider of health articles and effective natural remedies since 2001. Nutrition Breakthroughs makes the original calcium and magnesium based natural sleep aid Sleep Minerals II, which contains highly absorbable forms of calcium, magnesium and vitamin D, formulated in a base of vitamin E-rich rice bran oil. For more information on Sleep Minerals II visit this page. I’ve included a unique chart below with Seven Ways to Supercharge your Immune System. What exactly is the “Immune System”? The body’s immune system protects us against disease, germs, viruses and microorganisms every day of our lives. Some of the parts of the immune system are the tonsils, spleen and bone marrow (where white blood cells are made). Check out the immunity boosters in the chart below. This health news is provided by Nutrition Breakthroughs, maker of the effective natural sleep aid Sleep Minerals II, and the natural solution for joint relief, allergies, pain relief and increased energy, Joints and More.